NIFTEM Recruitment 2018 2019 Application Form for 13 Technician for Pilot Plant, Horticulture Supervisor, Hindi Translator Posts Download Application through Official website www.niftem.ac.in. NIFTEM Technician, Horticulture Supervisor Jobs Notification 2018 Released. 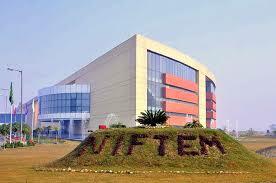 NIFTEM invites Walk in Interview for appointment in following Technician, Horticulture Supervisor post in National Institute of Food Technology Entrepreneurship and Management. Candidates are requested to Download Application through Official website www.niftem.ac.in. Prospective candidates will have to before Walk in Interview carefully reading the advertisement regarding the process of examinations and interview, eligibility criteria, Offline registration processes, payment of prescribed application fee/intimation charges, NIFTEM pattern of examination, NIFTEM Syllabus, NIFTEM Question Paper, NIFTEM Walk in Date, NIFTEM Result Date etc. 3. Junior Analyst (Physico-Chemical analysis) - M.Sc. in Chemistry / Analytical Chemistry / Biochemistry Food sciences and Food Science and Technology with minimum 55 % marks. 4. Junior Analyst (Microbiological analysis) - M.Sc. in Microbiology with min. 55 % marks. 8. Hindi Translator - Master Degree in Hindi with English as an elective subject from recognized University with Typing speed of 30 words per minute in English and 30 words per minute in Hindi on Computers.